HJAPÓN; exclusive luxury real estate agency in Barcelona and the Costa del Maresme, has been featured in different media outlets; El Mundo Deportivo, economic newspaper, entrepreneurs’ diary, international radio of Madrid and Vip Style Magazine, amongst others. This time we have been featured in the Vip Style Magazine; a prestigious cultural magazine of contemporary luxury, published in Barcelona for an international audience. 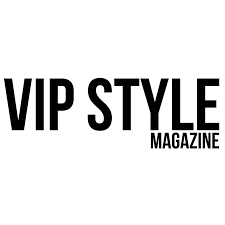 Vip Style Magazine tackles with all current issues in different sectors, boasts a large audience, and is mainly read by individuals of high cultural level and purchasing power. It is distributed physically in Barcelona; in the best hotels of the city, private clubs, airports in Madrid and Barcelona VIP area, museums, jewellers, upscale boutiques, cars dealers, aesthetic medicine clinics, spas, & wellness and business centres. In the article it focused firstly on the fact that we are a company specialized in the sale of high-end developments, further explaining our consultancy and supporting capacities at our clients’ disposal. The issue also looked at why buying or selling a home is probably one of the most important life decisions. As such, emotions are in full bloom. It also highlighted that behind HJAPON there is a commitment, transparency, and an expert, capable team working constantly to live up to every situation and every customer’s expectation. The article concludes by stating that at HJAPON, we strive for customer satisfaction. With more than 20 years in the real estate sector and incredible experts in the sale of luxury homes, we associate with the customer throughout the process and for each capacity, both the seller and the buyer, we establish a professional link that emphasis efficiency and loyalty.